In The Original Lou and Walter Story, performed at The Kitchen in 1978, Jill Kroesen sets up a complicated and dream-like world that examines social and economic relations between men in a fantastic, Western town. 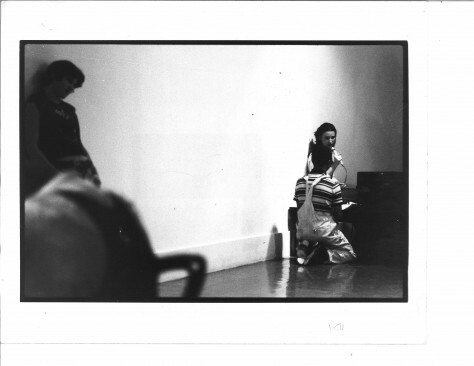 Kroesen established the plot of this complicated narrative by first presenting her audience with written program notes and then acting as storyteller, narrating in an earnest and child-like fashion as dancers slowly advance the plot through their actions. With its set designed by Jared Bark, Kroesen's 1978, multi-faceted performance explores themes similar to her 1977 piece Stanley Oil and His Mother—an economic analysis of the entire history of the West—performed at The Kitchen.